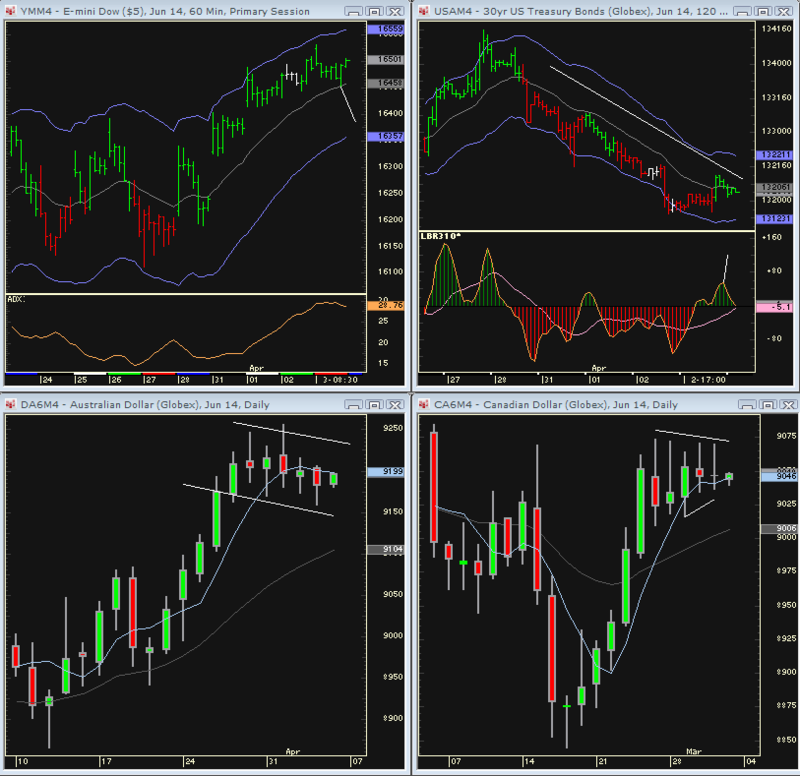 Indexes consolidated to the hourly EMA but volume was light on the selloff. The SPS rallied 8 points off their lows in the last hour for a close back above the high volume node. The best of these pinball Buy setups have been triggering the last hour of the day before but prices can still rally higher. The DOW closed with an hourly Grail Buy (se chart). It made new all time highs on Thursday’s opening, but it should be able to trade higher yet. Interestingly, The CD and AD (and Yen) stayed quite contained on this round of ECB press talks. The charts show multiple days of price bar overlap. The CD and AD can retest backup, but the CD has a three bar triangle breakout pattern so keep an open mind…..There are US economic numbers in the morning that can move all the markets. If the bonds push back above the daily 5 EMA, a good short sale will setup. They may also break to the downside as they are butting up against a descending trend line here. Either way, the daily and weekly yield charts still look like rates can rise. Gold and Silver had three bar breakout patterns – obviously awaiting economic data as a catalyst as well. On the plus side, Gold starts a long seasonal window April 4. 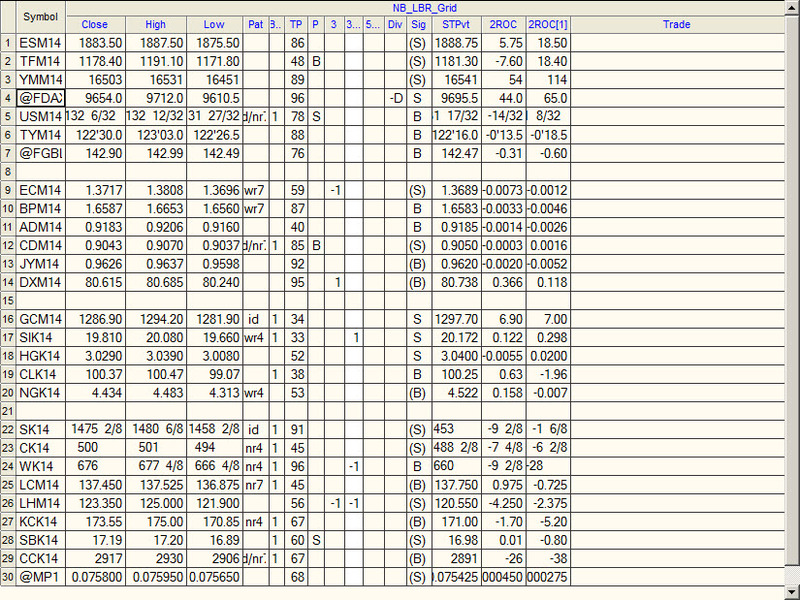 On the minus side, Large specs (funds) only reduced their sizable long positions by a small amount. Yes…it is my birthday! Double nickels! and my daughter Erika, whom many of you know, just got engaged. The world never stops turning no matter what the markets do.